What are “contributor agreements”, why do they exist, and are they a good thing? The need for them often arises from the interaction with open source of certain approaches to business. They serve a need of those approaches, but they can come at a significant cost to the health of the project. If you’re starting a new project, it’s worth understanding the bigger picture before diving in with a practical guide on the assumption “everyone uses contributor agreements” because not everyone does. I’m by no means the first to tread this ground; you’ll also want to read the earlier article by Dave Neary, and the comprehensive article by Michael Meeks ends with a useful list of other articles. Open source can be defined as the co-development of software by a community of people who choose to align a fragment of their self-interest in order to do so. The commons in which they work contains software free from usage restrictions with guaranteed freedoms to use, study, modify and distribute it – “free software”. The community members each work at their own expense in order to achieve a shared outcome that benefits all, including themselves. When they create an enhancement, fix a defect, participate in a design, they are not “working for free” or “donating their work” so much as they are “participating in co-development”. There can be justifications for having copyright aggregation by and for a community. When the beneficiary of the aggregated copyright is the community itself (in the case of a community hosted by a non-profit Foundation), there are benefits available that may outweigh the disadvantages. These include giving the Foundation the legal right to enforce the copyright in certain jurisdictions, and the freedom to update the open source licence later. They may also include the granting of additional rights such as patent licences in the case where the open source licence does not adequately deal with patents, or to help in countries where copyright law is sufficiently different from US law that the US-centric concepts behind open source fail.Richard Fontana covered these well in his LinuxCon presentation. Even with these benefits available, there are many communities that choose not to aggregate their copyrights – notably the Linux kernel, GNOME and Mozilla communities. The recent policy and guidelines on copyright assignment by the GNOME Foundations is especially worth reading. Having diverse copyright ownership leads to a deeper mutual trust and an assurance that the playing-field remains level. 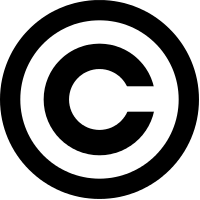 Insisting on copyright aggregation is one of the more certain ways a company can ensure the open source community it is seeding remains small and lacking co-developers. With the rise of “value add” business models such as Apache-style open core or service subscriptions, it is less necessary for the businesses involved to aggregate copyright. Some Foundations that avoid aggregation (such as Mozilla) do have a document termed a contributor agreement but the purpose it serves might be better termed a “participant agreement” since it mainly addresses community norms and specifically avoids copyright aggregation. Indeed, there are some who suspect a motivation for using the term “contributor agreement” vaguely to describe agreements also aggregating copyright is a tactic screen the toxicity of copyright assignments from general view. This essay is licensed under a Creative Commons Attribution-NonCommercial-ShareAlike 3.0 Unported License. While you are not compelled to do so, the author would welcome notification of derivatives, especially translations which will be gladly posted here. If your intended use is commercial, please do ask for permission as it is usually granted; it is withheld because of past abuses. There are other valid reasons for CLAs. Our project is a non-profit, non-business oriented endevour in the game development field. We have many companies contribute code. While we do trust individuals and companies (especially those we know through personal interaction), we already had situations where key contributions were in jeopardy due to companies wanting more control. Our CLA is a safeguard for situations where contributors want to retroactively pull back their contribution, e.g. in case of dispute. If such an action would remove vital code, someone would have to jump in and rewrite it. This is a luxury a non-profit project of volunteers simply can’t afford. Users build commercial products on top of our project, many depend on it to make a living (and contribute back in return). Many are one-person shops that could leave their cubicle jobs to pursue their dream of self employment due to our community effort. Putting the stability of our code base in danger by giving contributors legal means to maliciously remove code from the project not only hurts the progress of the project but affects lives. With over 120 contributors we only had one person that couldn’t sign our CLA. The reason: the person is a minor and the legal guardians felt uncomfortable signing a CLA. We resolved this issue without the CLA. Our project is one sample point that shows that CLAs do not necessarily hurt OSS communities. Also, i’m not a laywer, but it appears to be problematic to build applications on top of code bases which contain parts not explicitely licensed by their contributors. A CLA streamlines this imo.